The word Catholic comes from the Greek phrase kath'holou. Catholic relates to the historic doctrine and practice of the Western Church. It was first used to describe the Christian Church in the early 2nd century to emphasize its universal scope. The Roman Catholic Church consists of 23 churches sui iuris, in full communion with the Bishop of Rome. The largest of these, the Latin Rite, consists of nearly 95% of the population of the Roman Catholic Church; the remaining 5% consist of the 22 Eastern Catholic Churches. To avoid confusion between this concept and the Roman Catholic Church, above, theologians writing in English will refer to the former as the "Church catholic", using the lower-case. A letter written by Ignatius of Antioch to Christians in Smyrna around 106 is the earliest surviving witness to the use of the term Catholic Church. There are 219,714 Catholic parishes in 168 countries. Mississippi is the most religious state in the U. S. and Vermonters are the least religious. Savannah, once the capital of Georgia, was begun by Englishman James Oglethorpe and a 1732 Royal Charter as a colony which did not accept Catholics, rum, or slaves. There are 2.2 million Catholics in Pakistan. 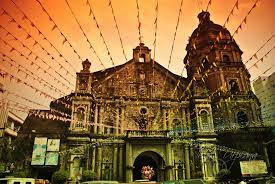 85% of the Philippines is Roman Catholic. Vatican has 900 citizens and 3,000 employees. Zucchetto is the name of a Catholic cleric's skullcap. Pope - white, Cardinal - scarlet, Bishop - purple, Priest - black. Olive trees were used for crucifixion. There is no funeral mass during Holy Week. Seth was Adam and Eve's third son.